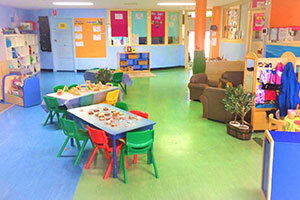 Our Auburn childcare centre provides a safe and nurturing environment for your child to discover, grow and be inspired. Places for 2019 are full. To join the 2019 wait list or secure a place for 2020, please call us on 1300 644 125 or book a tour today. A stimulating curriculum that encourages creative exploration and inspires a love for learning. Spacious, sun-safe indoor and outdoor play areas. Caring teaching staff who are university qualified, permanently employed and trained regularly. Four freshly prepared and nutritious meals, each day. A comprehensive range of extra-curricular activities to meet your child’s unique needs, skills and interest, from language, sport to dance. On-site dental, hearing and eye sight assessments. Flexible full day session, 10 hour session or a 9 hour session to help you get the most out of your child care subsidy. Call us on 1300 644 125 or use the form below. Located only 3 minutes drive from Auburn Central and 5 minutes to Auburn’s recreational area. Our centre is known in the area for having a warm and welcoming atmosphere since Oz Education gained possession in 2011. Oz Education Auburn has 2 large playground areas, one of which is undercover for our youngest children, and 4 classrooms including our separate preschool room where our Oz Education Advantage Preschool Program takes place. Subscribe to our eNews and receive regular updates, events and special offers.